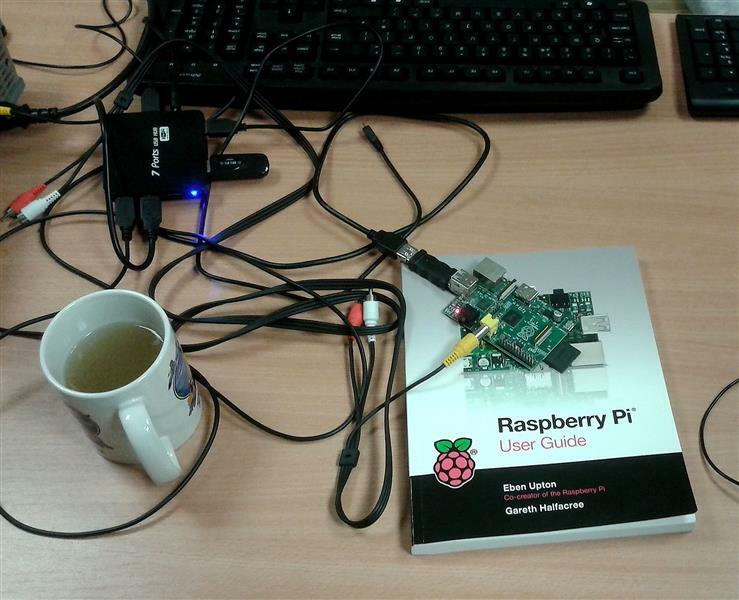 The Raspberry Pi is a credit-card-sized computer developed in the UK by the Raspberry Pi Foundation. It’s a capable little PC which plugs into a TV and a keyboard and can be used for many of the things that a desktop PC does, like spreadsheets, word-processing and games. It also plays high-definition video. It was developed with the intention of promoting the teaching of basic computer science in schools. We know a little bit about computers but virtually nothing about programming and we want to learn by having a go. 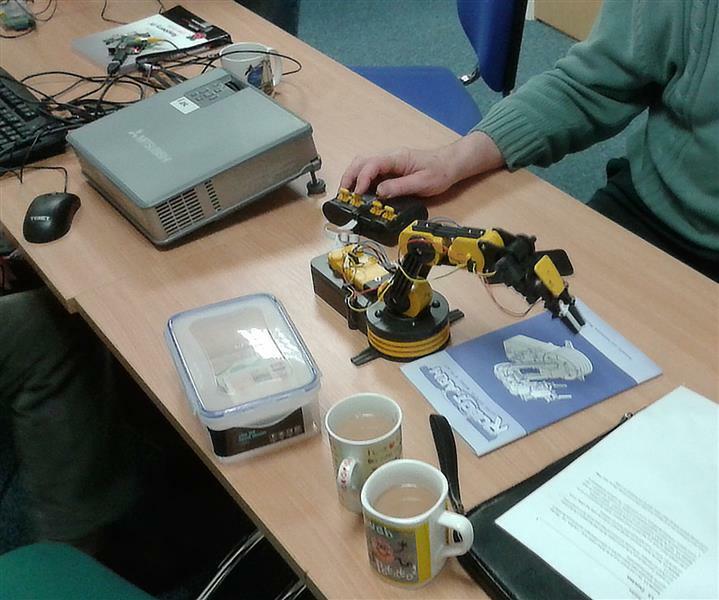 We decided to buy a small basic robot arm to be controlled by the Raspberry Pi. This means devising the electronic and mechanical interface between the two and writing the program to tell the computer what to do, and how. We want to be able to use the computer to direct the arm to a given spot and pick up an object. Sounds simple but when you break it down to the myriad of actions that have to be controlled and co-ordinated it becomes a real challenge. We think that it all might take some time but intend to have fun doing it! 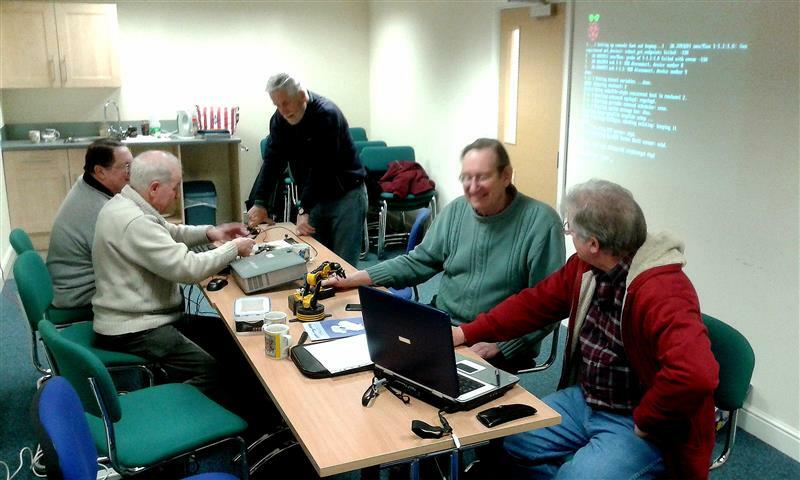 I think if you came to the next meeting of the Raspberry Pi Group as a fly on the wall you would probably think the group should be renamed as a “Boys and Toys” group. 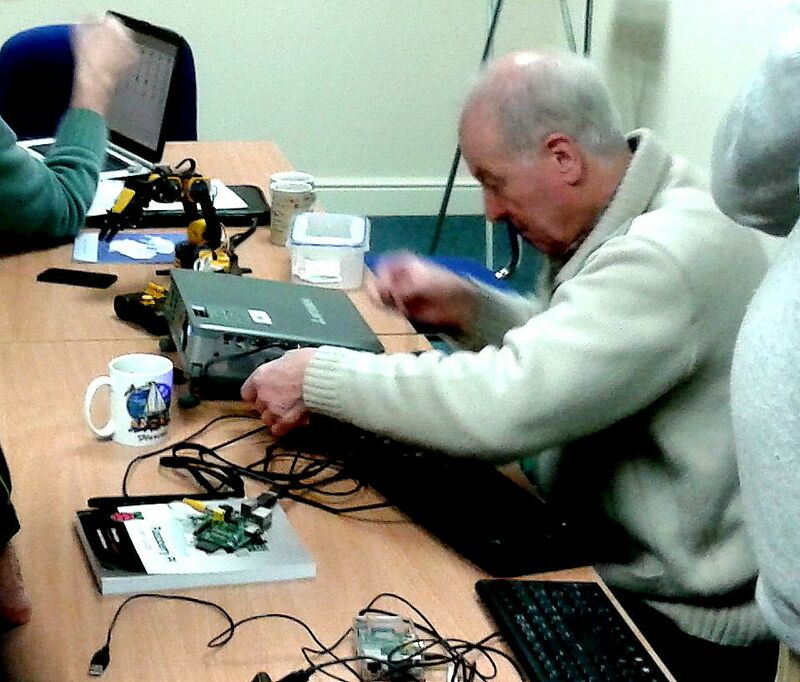 Well, for the moment at least, all members are men and you would find lots of computing bits and a robotic arm. This is going to involve electronic design, mechanical design and software design (computer programming). The aim is to learn about just how computers work to operate hardware. We are a mixed bunch with very diverse backgrounds most of whom have not done any real programming so we have a lot to learn.